Saw this new Gunpla release in Osaka Gundams today for an absolute steal… it’s of one of my favourite Mobile Suits so I couldn’t say no! 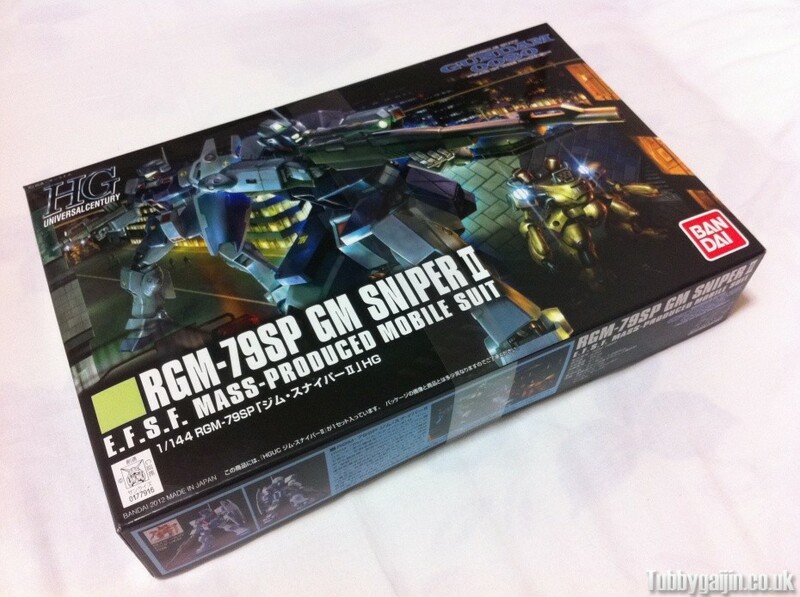 This is the successor to the original GM Sniper, which I built a kit of nearly four years ago. It’s the most powerful GM-type mobile suit of the One Year War era, sporting a very sleek but powerful look with verniers all over the place. 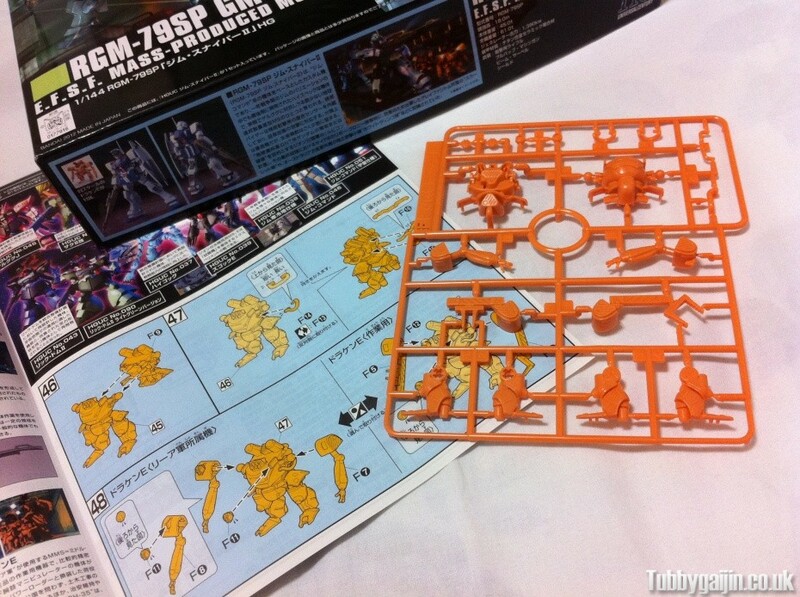 Ok, in the box we have six runners for the Mobile Suit itself, plus separate beam cores, clear parts and polycaps. 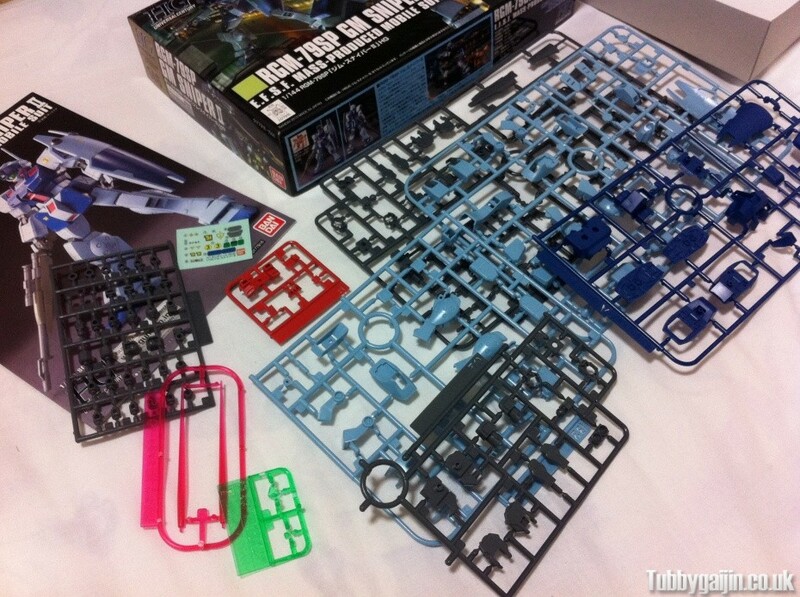 There’s a decent amount of colour separation in the parts, but a bit of painting will probably be required too. Also included is a runner with parts for a RH-35E Draken! It’s tiny and all solid molded in one colour, but the detail is good and it’s a nice addition. I’m just about done with the 1/48 AGE-1 so this will be my next project. I’d love to experiment with a custom paintjob, but that will have to wait until our apartment is all sorted. next buy freedom gundam in rg! I really want to get a RG soon, was thinking maybe Gundam MKII or wait for Zeta!